It’s been a little while since our last update, as we’ve been busy launching websites for a range of clients. Lets take a look at what’s went live since our last update in June. 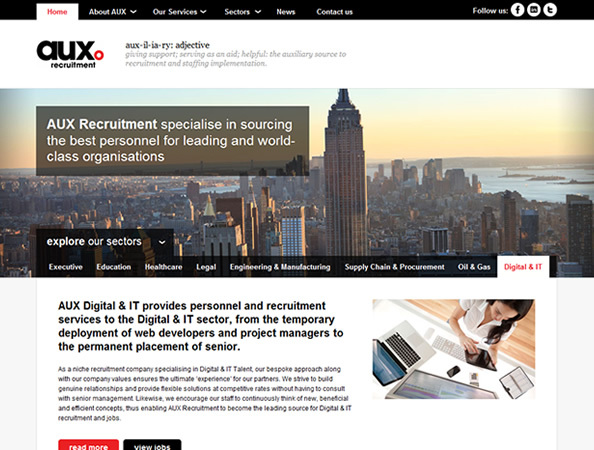 The AUX recruitment group specialise in sourcing the best personnel for leading and world-class organisations. We launched a number of websites for AUX which encompass education, healthcare and legal services. We are currently working on a number of related projects for the AUX team and hope to speak about these soon. 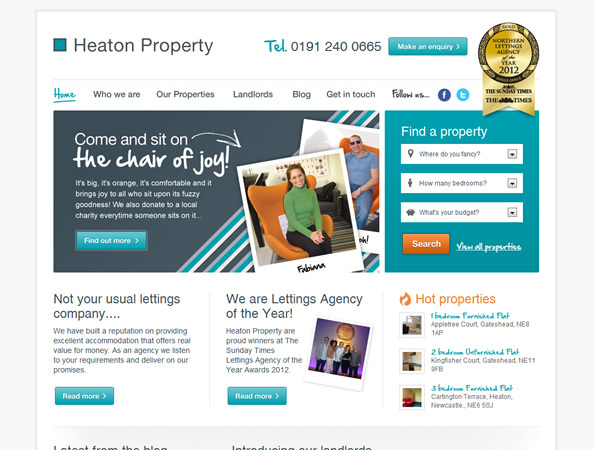 We helped Heaton Property redevelop their website and made it a lot easier for users of the site to find and view their perfect property. The business was a recent winner of the Sunday Times’ Northern Lettings Agency of the year award 2012, which you can read more about on their website. 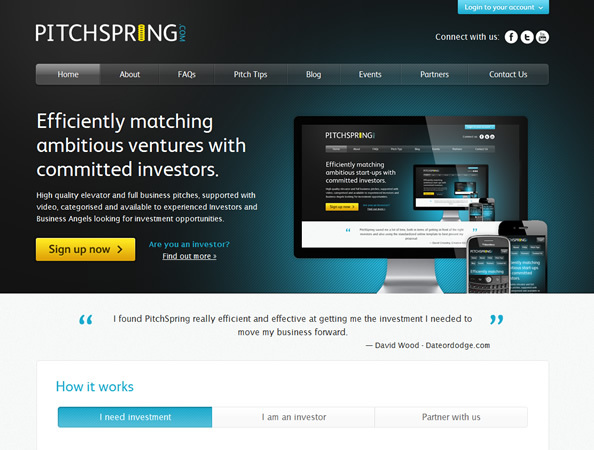 The PitchSpring website helps investors and startups speak to each other easily and efficiently, using the new front-end of the site and content management system we have created. 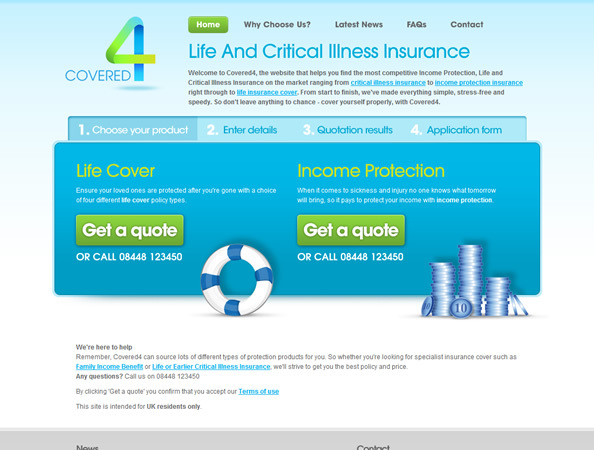 Covered 4 offers the most competitive life insurance, income protection and critical illness cover on the market. This is a long term project for us, with the aim of establishing Covered 4 as a leader in the life and critical illness insurance sector. 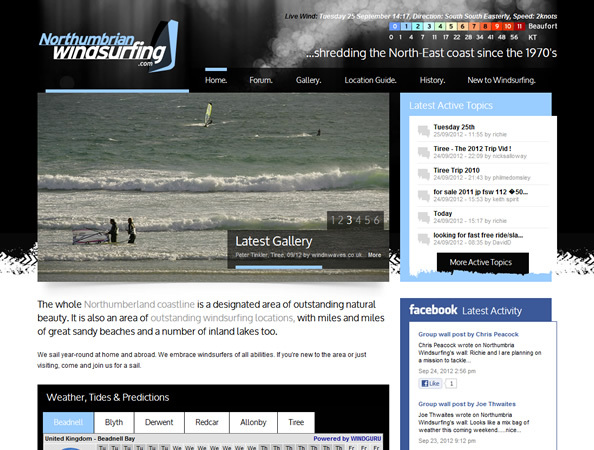 Northumbrian Windsurfing are a collection of likeminded people who windsurf primarily in North East England. The new website contains interactive galleries, a very popular forum, location guide and full weather / tide predictions. 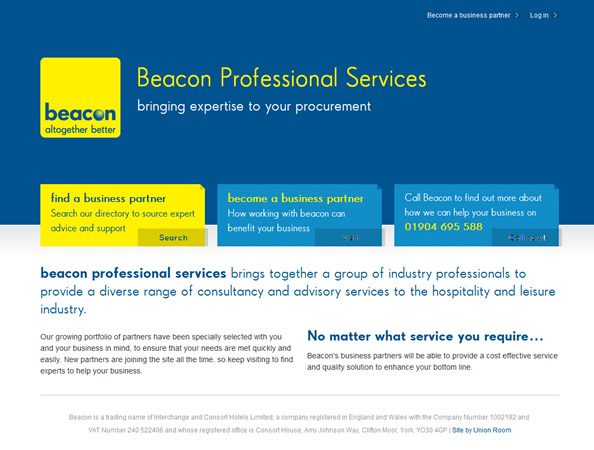 Beacon professional services brings together a group of industry professionals to provide a diverse range of consultancy and advisory services to the hospitality and leisure industry. The website allows users to search for business partners, as well as providing a unique opportunity to promote your services to a customer base of over 2,000 users. 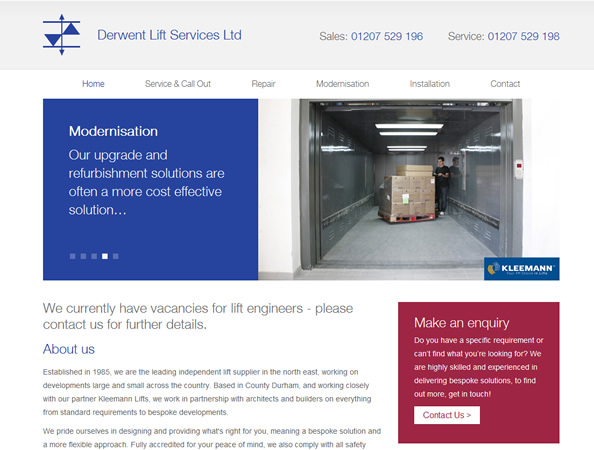 Established in 1985, Derwent Lifts are the leading independent lift supplier in the north east, working on developments large and small across the country. We designed and built their new website which went live in the summer. 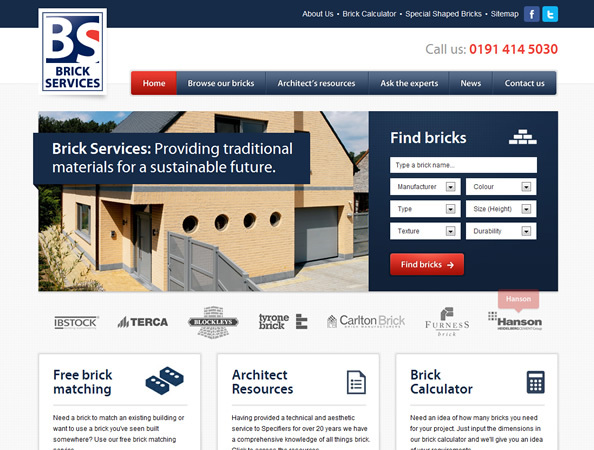 Brick Services are one of the largest brick distributors in the UK, supplying projects from Scotland to Devon. Their new website is the first phase in an attempt to bring the brick industry into the digital age. The aim of the site is to try and establish itself as the go-to source of information about bricks and related industries.